These exclusives have nothing to do with the cut. Its entirely to do with the exclusivity payments. Epic store currently makes a loss for Epic due to those payments from Tim Sweeney's own admission. Which means its a lot of money that epic is handing out for essentially free, there have been multiple accounts of companys saying even if they sold zero copies on the epic store they would be making more than their predicted sales. So even if Valve cuts their take I don't think it would change the situation. pretty much what has been happening. Yeah one has to wonder what Valve can do at this stage, other than pushing a massive (UI) update to Steam and make it better that way. Totally understand and legitimate for devs to grab the exclusive money, in the cluttered scene of Steam and general distribution, we know that every newcomer will struggle. we are also just at the beginning, the scene will settle down in a while once Epic and Steam will have gone through some back and forth. 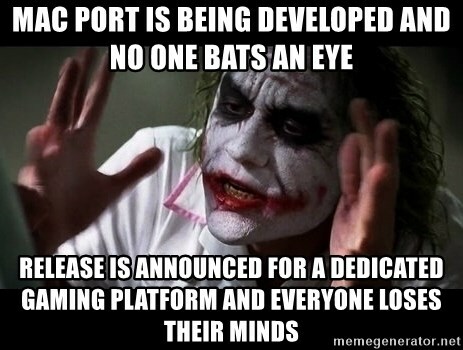 We also know that consoles sell at a loss to establish their platform, so what Epic is doing is just logic. I feel this is just more exciting than nothing changing at all. Also almost never buy D1 games so even if I want to keep just Steam, these exclusives are not affecting me anyway.